One year ago today, Der Evangelische Theologe went live. The first post was nothing special – just something of an introduction and manifesto, laying down some ground rules for myself as I embarked on this blogging scene. While that document still accurately describes the work that goes on here at DET, it could stand to be updated in light of what has developed over the past year. So, here are some reflections on three categories or themes that have emerged for me in thinking about DET over the course of this past year. One emphasis that has emerged here at DET – and I like to think of this as something of a DET distinctive – is the amount of time and energy that has gone into collaborative projects (an index of collaborative projects can be found at the top of the right panel). 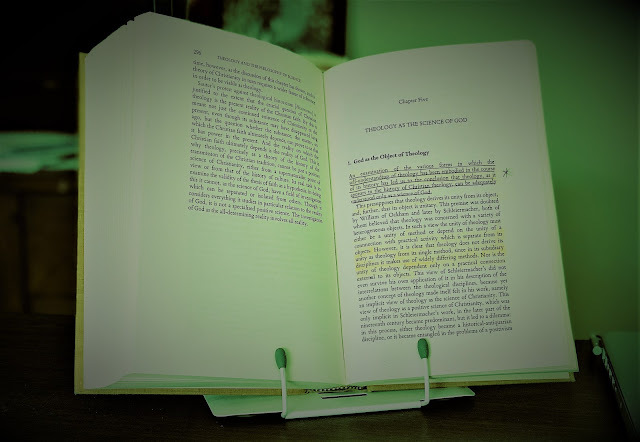 Although there have been a few odd guest posts here and there, the major collaborative efforts were the 2007 Warfield Lectures delivered in March here at PTS by Kathryn Tanner, and the 2007 Karl Barth Blog Conference of this past June. I very much hope to be able to organize more collaborative projects like these. If you have an idea for a collaborative project, would like me to consider publishing a guest post, or would like to partner with me in other ways, please feel free to send me an e-mail: derevth at gmail dot com. This overlaps with the ‘Collaboration’ section a bit. One of my goals is to spread information, and one of the best ways that this has occurred in the past year is with the collaborative project on the Warfield Lectures (linked above). Because of the collaborative team’s efforts, the content of those lectures (albeit in an imperfect, truncated and ‘received’ form) were made available to a wide audience well before their (impending) publication. Such coverage of important theological lectureships, lectures and conferences is part of what I hope DET will accomplish more of in the next year. Again, this category overlaps with the above. Serials and book reviews (indices can be found at the top of the right panel) are the primary forms that my educational focus takes here at DET. I would love nothing more than to take part in the theological education of “civilians” – average Christians in the pew. 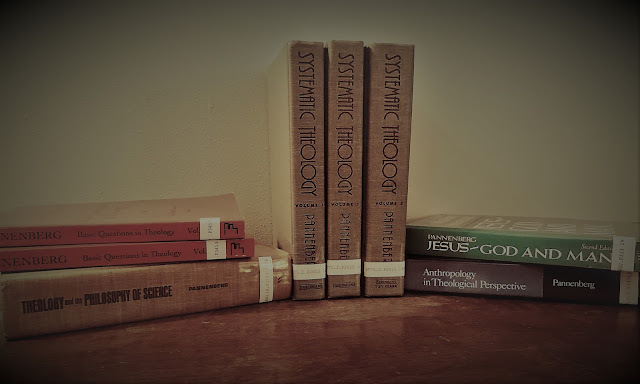 These people are not civilians when it comes to living the Christian life, but they are when it comes to carefully considered theology, and this is where I think that the theo-blogosphere can help the church in important ways. Many of us in the theo-blogosphere are not civilians in this sense; we are either in boot camp (seminary) or in special forces training (doctoral programs). We have, and are increasingly gaining, expertise that can make a difference in the lives of those who don’t have the leisure of study like we do. Therefore, we must take our ‘teaching office’ very seriously. But, at the same time, I don’t envision the educational mission of DET to be a one-way street from me to the reader. I love comments: both the kind that offer friendly critique - telling me something I missed, misrepresented, or showing me a different way of looking at things - as well as the kind that ask questions and push me to explain further or more clearly. Furthermore, I’m often teaching myself when I post things. The series on Turretin’s ecclesiology is a prime example of this. Education is finally what DET is all about: it is about you learning, and it is about me learning; but most of all it is about us learning together. In conclusion, I would like to thank all of you who stop by to learn with me by reading and participating in discussion. Spread the word - tell your friends about DET. I am looking forward to another year of growth and refinement while discovering new friends and colleagues! I found your blog after you left a comment on my recent post about Karl Barth and the doctrine of Scripture. I like your blog and as such have placed it in my blog roll on http://throughtheveil.wordpress.com. Shouldn't it be "Der evangelische Theologe"? Yes, if it were used in a sentence. But, as a title, it is capitalized. I love the new "look", Travis!